Young Science Lab is an educational platform developed out of a partnership between Discovery Education and 3M. It provides a wide variety of interactive and engaging activities, standards-aligned resources and teaching tools to help students with their science learning. The purpose of Young Scientist is “to foster a new generation of scientists who are inspired to improve the world with science”. 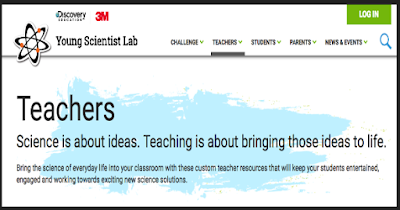 The site features science resources for teachers, students and patrents.